Teal & Black along with its cousins the teal and green ,teal and red and the teal blue and silver these make for excellent trout and sea trout flies After hatches of tiny midges and Blue winged olives the March Browns are normally the first large mayflies of the year. They always seem to hatch in cold rainy afternoons. The Autumn Dun (Ecdyonurus dispar) is often confused for the March brown insect as the two are of similar size and appearance. 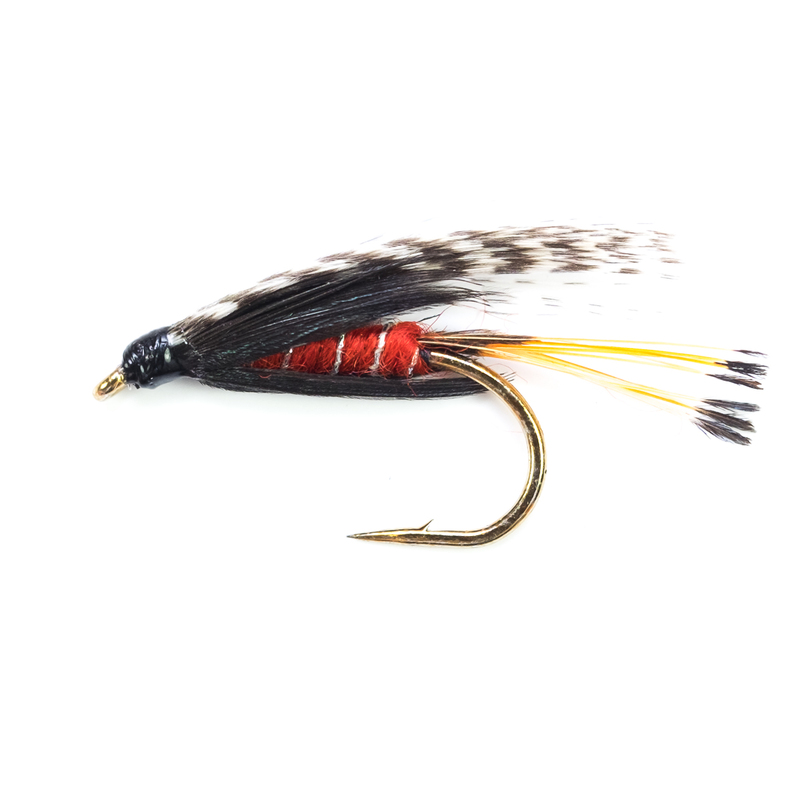 WET FLIES A wet fly is designed to be fished below the water's surface. They are tied as deceivers or attractors. The success of the wet fly often depends far more on its action in the water than on its resemblance to a particular insect, but this is not always the case. When fish are on the feed the actual pattern is generally not important, but when the fish are preoccupied or need tempting the angler must use ingenuity to discover what the fish are feeding on and what color they are taking. When fishing wet flies, it is important to remember that the higher the wave on the water the higher the fly hook size can be, but still take into account the brightness and clarity of the water. Trout do see subsurface insects with wings. Some flies begin to hatch below the water surface. The Baetis group of up-winged flies swim or crawl beneath the surface as adult spinners in order to lay egg. There are occasions when duns and spent spinners are swamped by the current and forced under the water surface. Emerging duns that have been unable to get rid of their nymphal case or at the time of emerging are drowned when they float under rough water that is flowing over a large rock or ledge are also hunted by the fish. The trout on purpose lurk in slack water near eddies and small plunge pools to look out for these type of snacks. Clearly a trout does see winged insects under the surface at certain times of the year so be prepared with a selection of different colored wet flies for when the fish are not taking from the surface.